In the last 35 years, Houston Business Coach, Steve Scott has started and built up several businesses. They ranged from a sole proprietorship to a multimillion dollar corporation with 80 employees. He’s worked in a variety of industries including financial, service, retail, manufacturing and international markets. Those experiences combined make Scott an ideal business coach to work with small business owners and solo entrepreneurs to tackle key skills that may be holding them back in making their business successful. Scott’s goal as a business and life coach is to collaborate with and support professionals and business owners who are committed to having more in their businesses and lives. He works with clients who understand that through coaching they will have the accountability to create the future in business and life that they desire. “I have known Steve Scott for over 40 years and I am hard pressed to think of anyone that I trust more and have more respect for,” Bryan Gorrie, Retirement and Business Coach says, “Steve is not only a good friend but someone that is deeply committed to supporting people in attaining what is most important to them in their lives.” Gorrie originally coached Steve to get trained as a coach because he saw a passion for working with others to find their bliss and attain new levels of success in their lives. Scott’s coaching style utilizes stories and examples as well as real world application so clients can go out and make real changes to their business and themselves to become more successful. He’s built up a solid reputation as “The Houston Business Coach” over the last seven years and in recent years; he’s gained national and international coaching clients who appreciate his warm manner, true listening skills and practical solutions. 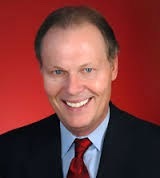 Learn more about Steve Scott, “The Houston Business Coach” at: http://www.thehoustonbusinesscoach.com.